There are many reasons for suboptimal work conditions that can lead to missed nursing care. When this involves patient deterioration, the consequences can be dire. 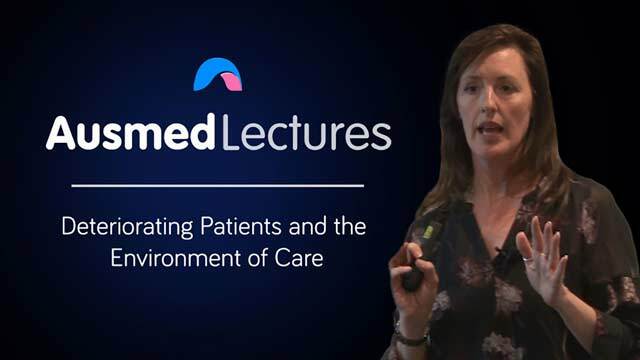 This session looks at real case studies to consider the contribution the broader environment of care can have in creating an incubator for missed care. Alexandra Gillian has been a registered nurse for 29 years and an emergency ambulance paramedic for 13 years, with intensive care qualifications in both fields. She has also obtained a certificate IV in training and assessment. As director of, and principal trainer for, Confident First Aid Management Pty Ltd, her extensive experience in acute care settings has laid a solid foundation for her delivery of accredited first aid and mental health first aid training, conducted nationwide. In addition, she draws on her extensive general and specialised clinical experience when providing workshops and seminars. Alexandra is an engaging presenter with a passion for empowering colleagues to deliver the safest, most appropriate, patient-focused care. This was fantastic and really consolidated my learning from University. Found resource very eye opening. Made you realise how a patient can deteriorate quickly. Reinforced importance of continually monitoring patients and reporting any minor changes as it can be fatal for the patient. I will continue to update clinical assessment in different area of specialties to be able to assess different patient presentations. Easy to follow and important for every nurses to know impacts of missed nursing care. Practical and educational information ,well delivered by an experienced clinician .